Somalia's continued political instability has for years provided resources and space for secessionists to pursue their agenda almost completely unhindered. Indeed the lack of peace and governance country wide has affected Somalia's sovereignty in more ways than one. For the Somali federal government, this loss of independence affects their ability to project power into Northern Somalia. With secessionists taking advantage of the weak central authority, the encroachment on Somali territory continues with little to no resistance. It was just a week ago when secessionist officials provokingly went to Lasqooray, a port city in the Sanaag province that has so far been spared the violence and oppression much of Sanaag's unionists live under today. This provocative and dangerous expansionist policy employed by "Somaliland" is being aided and supported by some lobbyists in the United states. One such lobbyist is J. Peter Pham. Dr. J. Peter Pham is Director of the Africa Center at the Atlantic Council in Washington, DC. Previously, he was tenured Associate Professor of Justice Studies, Political Science, and African Studies at James Madison University in Harrisonburg, VA, where he directed the Nelson Institute for International and Public Affairs. He has also regularly lectured at the Foreign Service Institute, the Joint Special Operations University, the Defense Institute of Security Assistance Management, and other U.S. Government professional education institutions. Dr. Pham has testified before the U.S. Congress on a number of occasions and conducted briefings or consulted for U.S. and foreign governments as well as private firms. In May 2008, at the invitation of General William Ward, he gave the keynote address at the first Senior Leaders Conference of the United States Africa Command (AFRICOM) in Mainz, Germany, and subsequently served on AFRICOM’s Senior Advisory Group. Dr. Pham is the incumbent Vice President of the Association for the Study of the Middle East and Africa (ASMEA), an academic organization chaired by Professor Bernard Lewis representing over 1,300 scholars of Middle Eastern and African Studies at more than 300 colleges and universities in the United States and overseas. He regularly appears in numerous national and international media outlets. Dr. Pham is also Editor in Chief of ASMEA’s flagship Journal of the Middle East and Africa. A specialist on U.S. foreign and defense policy, African politics and security, and terrorism and political violence, Dr. Pham is the author of over 300 essays and reviews and the author, editor, or translator of over a dozen books—most recently, Somalia: Fixing Africa’s Most Failed State, co-authored with Greg Mills and David Kilcullen. Mr. Pham's long resume can simply be summarized as someone who has a keen interest in what goes on in Africa. His interference in Somalia goes several years back and he is even frequently quoted by various prestigious news outlets on anything concerning the country. It is safe to say that he has convinced many in the international arena of being the "go to" guy when it comes to the far away country of Somalia. Mr. Pham has a consistent track record of what can only be described as attempts to strip legitimacy of any government in Somalia and either promote the status quo, or strategies that will ultimately lead to further deterioration in Somalia. Indeed he has consistently argued for the dismantling of Somalia, which you can read here and here , and the downgrading of relations between the US government and Somalia's federal government which you can also read here. Mr. Pham has among other things compiled and actively promoted a document titled "African game changer? 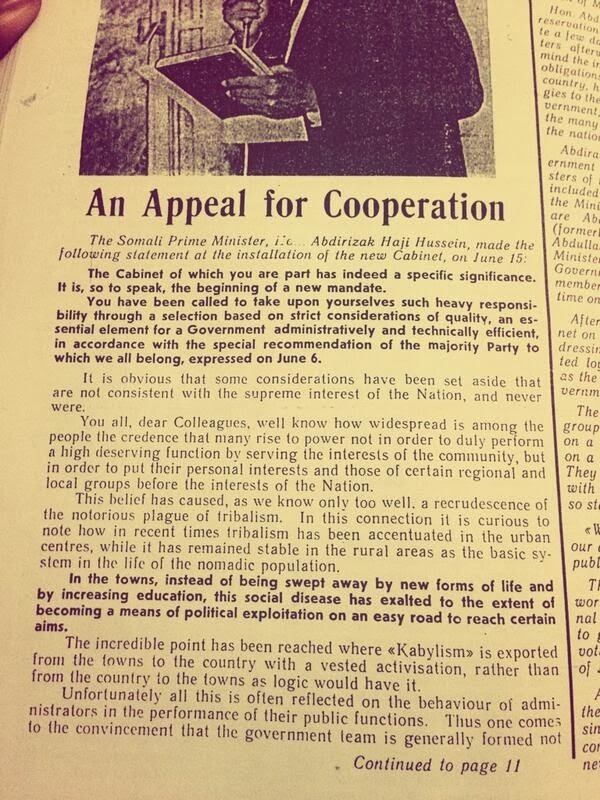 ",detailing how to recognize "Somaliland" and permanently divide Somalia. The document explicitly argues for forcibly re altering Somalia's borders with the financial assistance of European countries as well as the political from regional African countries. According to Ali H. Abdulla, someone that has researched and written about Mr. Phams "African game changer" project.
" Recognition would also ensure that the ambition of a ‘five-star’ Somali nation incorporating Djibouti, Somaliland, Ethiopia’s Region Five, and the north-east of Kenya along with south-central Somalia would be even less likely. This is, of course, especially in the interests of Kenya, Ethiopia and Djibouti "
Although this has not been taken seriously by most foreign officials nor international policy makers, it certainly has a very receptive audience in the horn of Africa. 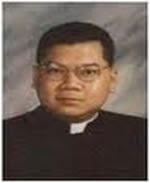 It is not often mentioned that J. Peter Pham is a former priest from the Catholic Diocese of Peoria in Illinois and has written several papers for religious institutes. The fact that he went from being a dedicated priest two decades ago, to a lobbyist today is very strange and peculiar. Mr. Pham is also a senior fellow at the "foundation for the defense of democracies", which source watch describes as a "neoconservative think tank and lobbying organization that claims to conduct research and education on international terrorism". Upon a closer look you will notice that the think tank on its leadership council includes well known Zionists such as Louis J. Freeh, Newt Gingrich, Bill Kristol, and Joseph Lieberman. While it seems that religious fundamentalism shapes the worldview of Mr. Pham. That does not necessarily mean that Peter Pham is consistent nor transparent. Indeed while Mr. Pham advocates for dissolving Somalia, he is equally lobbying against the same for Morocco. Mr. Pham has feverishly been against the independence of west Sahara and has written extensively on why the west Saharan's don't deserve freedom, which can be read here, here and here. Not only does this show the hypocrisy of Mr. Pham, but also the neocolonialist attitude that guides his actions. Men like Mr. Pham see Africa and the third world in general as their playground. Independence and sovereignty only matters when it benefits them. Another aspect of the work Mr. Pham is carrying out, is the financial aspect. As a lobbyist, Mr. Pham is most likely receiving payment for his articles on Somalia from the "Somaliland" political leadership. Unfortunately i have not been able to find any source that discloses this amount publicly. But any financial transaction to Mr. Pham, is most likely coming out of local revenues in Northern Somalia. Specifically tax revenue from the Berbera port, Hargeisa airport and whatever local Somali businesses pay. Such irresponsible and non transparent use of public funds lends credence to the recent allegations of pervasive corruption. In the end, we come back to the sad fact that Somalia has many detractors, and while this arises from the fact that Somalia is experiencing instability and war, we much unite as Somalis to condemn whatever foreign interests that try to use Somalia's instability for their nefarious agenda. To this end, i really see no difference between Al Shabaab and men like Mr. Pham. Both sides are foreigners and both of them are ultimately fighting Somalia's sovereignty and independence. You're a pathetic fellow. Keep on dreaming. Somaliland is here to stay! I am not sure how i am supposed to address your comment. Personal insults are so childish. Is enough being done to preserve and develop Af-Soomaali ? Why is the UN not upholding human rights in Africa's "best kept secret" ?